Today I am looking at foiling techniques using just foil and heat to create some stunning backgrounds with Altenew's Mandala die! 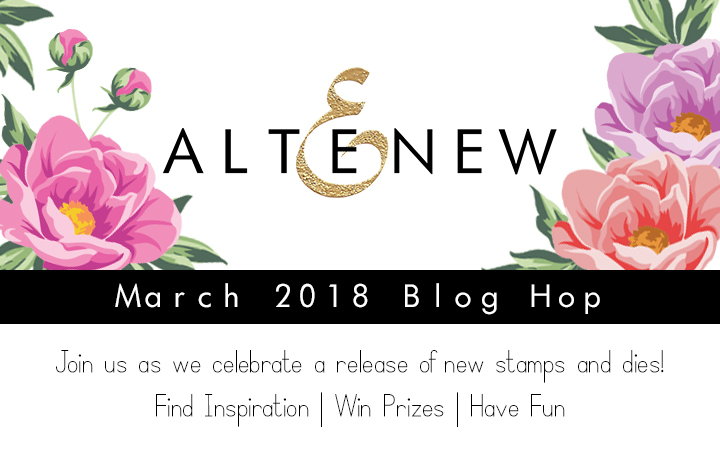 Altenew is celebrating another fabulous release and I'm excited to be along for the journey! I have TWO video tutorials for you today featuring two very different techniques. I will be giving away $30 to Altenew on my blog for commenting! I will announce the winner here on March 30th! Additionally, to celebrate this release, Altenew is giving away a $50 gift certificate to 6 lucky winners! 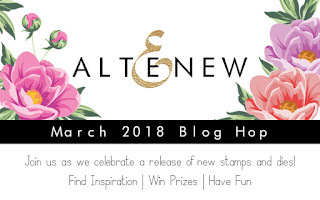 Please leave a comment on the Altenew Card Blog and/or Altenew Scrapbook Blog by Thursday, March 29th for a chance to win. 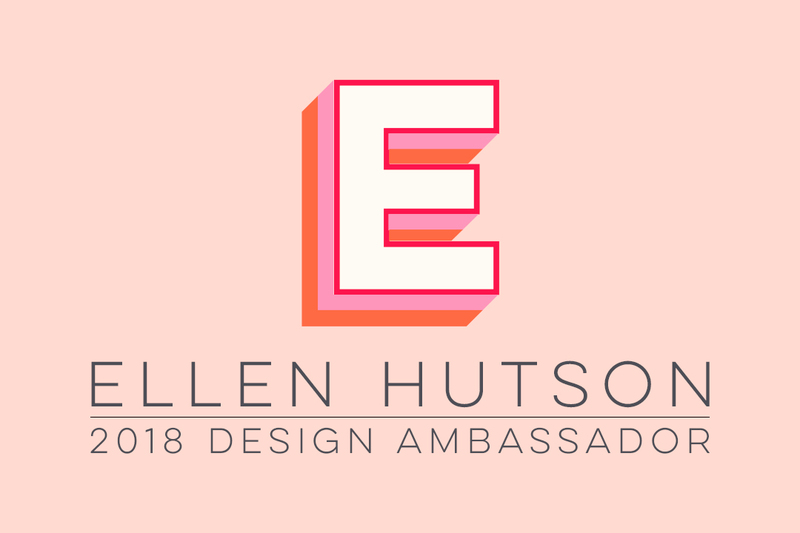 6 winners will be announced on the Altenew blogs on 3/31/2018. I love the look of foil! I love the elegance and the shine! I know not everyone has a laminator, so I wanted to show you two ways you could use foil - by laminating with heat and by simply gluing some foil down. I cut out the Mandala die with my new Gemini die cutting machine - seriously watch the video and be amazed at how easy this intricate die is to cut out! OMG. I die cut the mandala into cardstock for my non-heat foil technique and for the laminating technique, I die cut the mandala using adhesive backed toner sheets. I adore the Sincere Greetings stamp by Altenew! Not only do you get stunning sentiments for the fronts of your cards, but sincere and beautiful greetings for the insides too! I show them all off in the video! My next card (funny story!) I actually created back in January when I was sent this Dearest Friend Stamp. It was sent to me by accident so I already had today's post ready to go ages ago! But it tempted me to create the other cards too so it's a bonus second video for you today! I used a watercolor masking technique using a liquid mask and created a fun background behind it! I always find fun ways to watercolour that don't require a lot of skill! 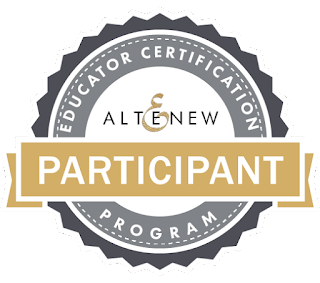 I am submitting this card as a part of my Altenew Educator Certificate! 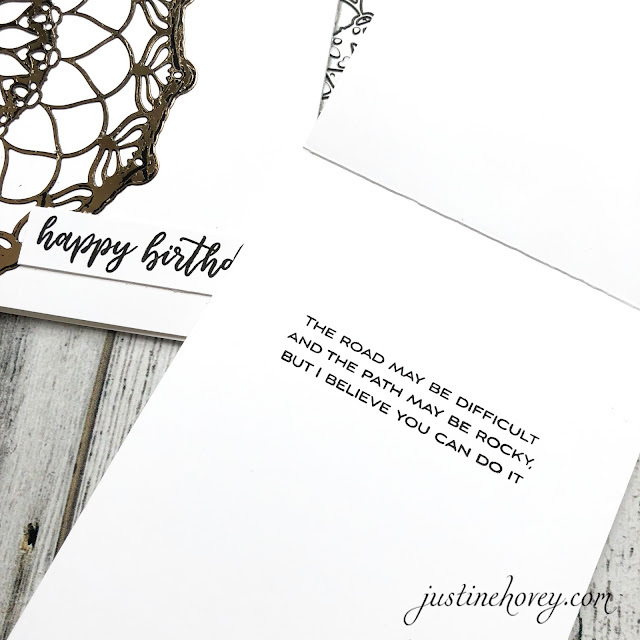 I took the Beyond Basic Backgrounds and was inspired to foil without using a laminator! I haven't tried foiling yet, but I know it is in my future!! Both of these cards are beautiful! You make them seem so easy to make. Thank You! I love your idea of the negative foil in the background, it is a whole different look for the same cutout. I have a laminator that I have used for many years and it does a semi ok job. I might need to get a new one like yours as mine doesn’t seem to get hot enough anymore. The die is lovely alone, but using the foil makes it a definite wow. Thanks for sharing alternate ways of using the foil. Loved the way you've used this die. The foils are so shiny and pretty and give such a wow factor to the cards. Love also the sentiments and that you made a set of cards! Thanks much! Beautiful cards!!! I love that die!!!! Gorgeous cards. Thank you for sharing these with us. I never would have thought to use foiling. It looks beautiful. Great ideas! This die is gorgeous, and the possibilities are endless. WOW! I love the foil on this fabulous die! I'll have to add it to my wish list! Thank you for the ideas! I'm a sucker for foil! Great ideas and I love the clean design. The foiling is brilliant and I also love the watercoloring. TFS! I think the Dearest Friend is my favorite set. I have so much trouble layering stamps, although I love the look of layering, I am just not very good at getting them lined up. So this set is really pretty. I too am not great at coloring so this is a fun way to add color easily. Love the mandela too. Gorgeous cards! TFS your beautiful cards. I love the ones you created using the Mandala die and can't wait to watch your video. I too am taken by the Sincere Greetings set... it's for sure on my wish list. But there are so many wonderful new products in the release, and the entire design team has done a superb job showcasing them and inspiring us! Hi Sue! Congrats you won the giveaway! Please contact me using the contact me form at the bottom of this blog post so I can give you further instructions. Please respond by April 10th. I love these cards, I need to give foiling a try. A nice jpb with these. Love the masking idea. Very pretty card! Wow, those foil mandalas are gorgeous! Wonderful cards, love the black and white flowers. Thank you for sharing your foiling tips and for the 2 videos. They always help me see the complete process. Wonderful examples . Thanks for the videos also. Thanks for sharing . Justine, you just sold me on that die! The foiling is so amazing and oh so very very pretty! I really liked watching your video's and your different comparisons of products and tips! That mandala die is so interesting. Thanks for sharing! The foil looks great. I'm glad I have access to my son's laser printer for toner. 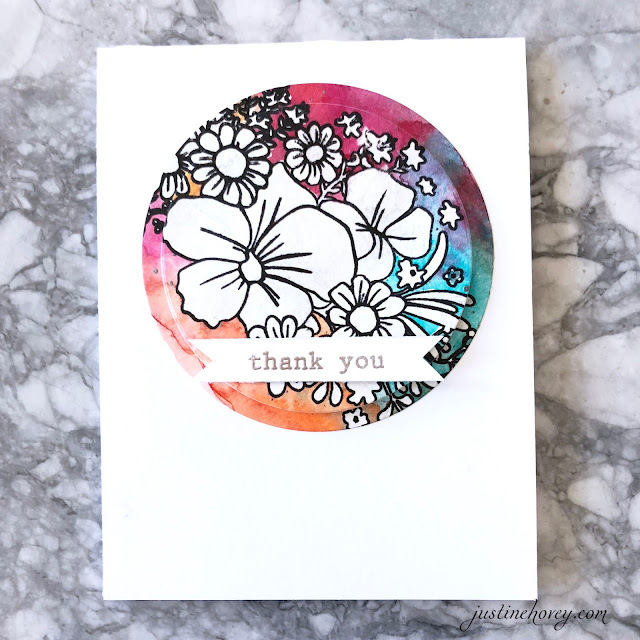 I love how you used the circle die to frame the flowers. Lovely! Thanks for sharing these techniques. Beautiful cards. I love the Mandala die set, that is so versatile and you showed an other way to use than I have seen before.I love also the way you used the Dearest Friend Stamp, great stamp by the way. Thank you fot that and thanks for your great video's, because I learned a lot from them. Wow!! Stunning and unique cards!! Your cards are stunning ! Thank you for the videos and all the tips. Definitely a showstopper! The Mandala Die is my favorite from the release. 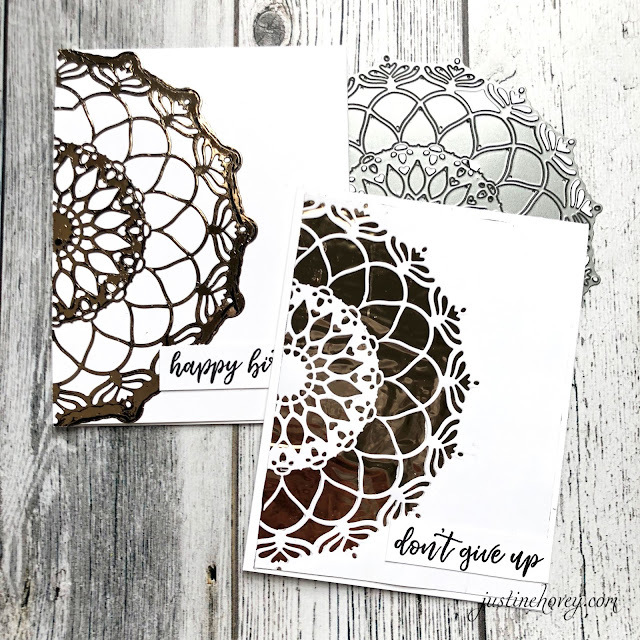 Gorgeous Mandala die and beautiful cards!! I just put a big order in this week now I need the mandala die too!! LOVE!! Thank you for sharing a way I can use my deco foil. Is have never thought to just back a die cut with it. Your cards are beautiful as always. This new Mandela is fantastic. Thanks for showing how to use foils with it to create such beautiful cards. I love the creativeness here. Beautiful cards! So pretty - love the foiling. I love the watercolored background on the flowers. I forget to just die cut the image... it looks fabulous with the edge flat. Nice work. I've not tried foiling myself. It sure is beautiful! your mandala card is gorgeous and love your "dearest friend" card technique!! Beautiful cards! I love seeing what you stamped on the inside as well! Lovely card samples with these wonderful new products! Your foiled Mandala cards are very striking, but I absolutely love the one you made with the Dearest Friend stamp set. Your mandala cards are simply beautiful! Fabulous cards!! Love this new release. The foiled Mandala cards are amazing. Justine, I never thought I could use foil without a laminator, so thanks for this. With that Mandala Die your cards with foil are magnificent looking. I also like what you did with your floral card by cutting out part of the image. Learned something...never saw sheets of foiling paper but now I will look for some to use. Thanks for the beautiful video and cards. Love this die and the gold sequin foil by Gina K.
The mandala cards are so elegant and sparkly! Love the floral card card and the masking technique. Thanks for sharing your creativity! Gorgeous cards. Clean designs with fantastic shine. Thank you for sharing foiling techniques without a laminator. Justine you and your cards are so delightful!!! Am in love with your creativity and design showing how versatile these releases really are! Since the mandala die is my favorite from this release, I loved seeing how you used it... I gotta try die cutting foiled backgrounds! Your cards are beautiful! Gorgeous cards. And I appreciate the bonus card. Off to check out the video since I really love the look. Love them both the watercolored one and using the foils is so pretty too. Thanks so much for sharing. LOVE your CREATIVE techniques with the FABULOUS foiling and STRIKING watercolours, such BOLD & BEAUTIFUL designs! Great videos! I especially loved the mandala cards. I'm with you, I don't like to waste supplies so I'm glad to see you used the negative too. I found these new techniques fascinating and can't wait to try them (Opps, no trying, they look so easy that I'm going to do them)! Thanks, Betty Tanner from Newport News, VA. I agree with the sentiments - can never have enough! Loving the foil ideas - never tried it before. Gorgeous stamp and enjoyed learning about the masking technique. Thank you for sharing. Beautiful cards! I love the second one with the masking.....it turned out SO beautifully! Such pretty cards Justine!! I love the gold foil you have used. So pretty. Great cards! Love the Mandala die and all the beautiful ways you used it. So pretty. These are so pretty and I really love that Mandala die. The Sincere greetings stamp set is so amazing with all the great sentiments. Love the foil look of all of them. I had not thought about using the foil sheet as a backer on a cut-out card front--you are a genius! And I love the look of the second video---leave the flowers black and white and go to town coloring the background! I love playing with color that way, but am still intimidated by masking fluids. This one looks like a winner. I love the way it came off. Thanks for some lovely inspiration as well as a few tips. What a fantastic video! The tip for using foil without a laminator was so helpful. I have a Scotch laminator that I get mixed results with. Time to replace it with something that will work better! Many thanks, Justine! I love that Mandala die and the nice foiling card you made! So beautiful! Ooh, I have some of that mask which I have never used. You make it look pretty easy! Thanks for the inspiration---I'm going to try it as soon as my stamp set arrives! Beautiful foiling on the mandala die! This is a technique I'd like to try. The sentiments made for a lovely set of cards. Great "bonus" card, as well. It's perfect for those of us still working on our coloring skills. Love seeing you put that mandala die to use - it's helpful to see it's size and new ideas for using it in unexpected ways. Such a pretty design! Also really enjoyed the watercolored image video - not only are the images lovely in the Dearest Friend stamp set, but the sentiments are also great. Such a fun release, Altenew and you showcase it very well, Justine! Thanks for being on the hop today! Beautiful cards! I really love the mandala die! Pretty floral card too! This release is amazing! Love that mandela die! Wow! Love this new amazing release!!! Your cards are simply amazing!!! Thanks for showing other ways to use foil. Your cards are very pretty. I love your cards...always unique. And thank you for your videos too! WOW, gorgeous cards! I love how your used the left over foiling to use on second generation cards! Thank you for showing us how!! Love it! Wow!! These did turn out beautiful!! I do love those sentiments...very unique! That Mandala die is so awesome - your cards were fast and easy to make, yet stunning! Love the foil paper no-waste tip and how to use foil without heat! O MY GOODNESS!!! The Mandala die is beautiful just cut from cardstock but when you use foil it's a whole different story! Your cards are so exquisite and elegant! I especially like the one done with the negative. So gorgeous!! Your Dearest Friend card is quite beautiful too. Love the colours!! Thanks for 2 great video tutorials as well! Beautiful cards! 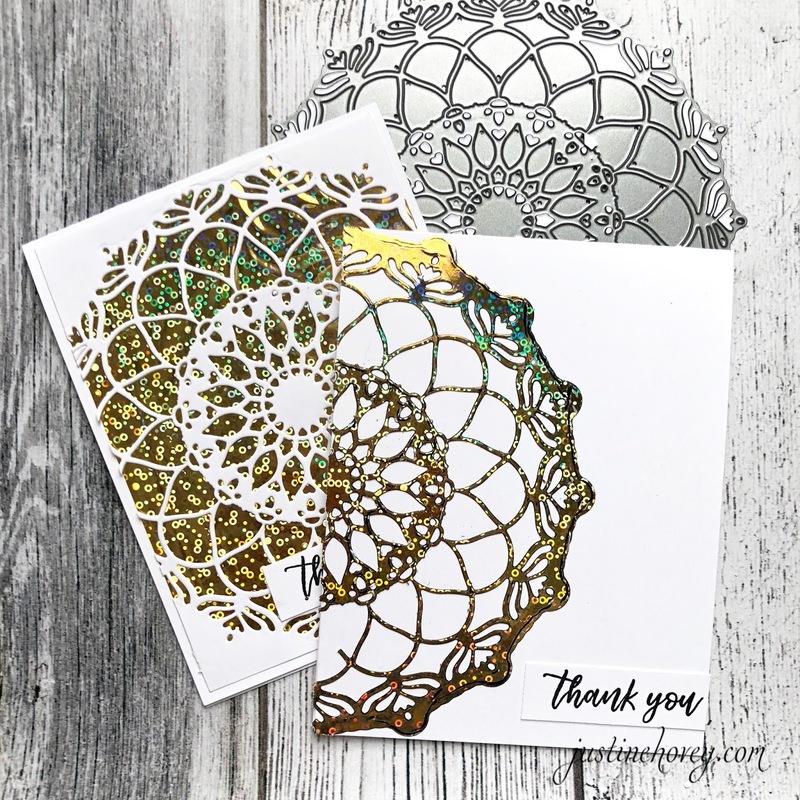 Loving the two for one cards from the Mandala dies, so striking and gorgeous! Beautiful mandala cards, love the negative colouring of the flowers they’re beautiful such a pretty card with watercolouring I feel I can manage! Wonderful technique with super gorgeous card!! Great cards, love the Mandela, so versatile. Thanks for the inspiration. Oops.. I accidentally sent you mail! HA.. Love your card ideas. So fun. I love your accident of getting the set early.. Funny. great release. beautiful cards. thanks as always for sharing. Love these cards you've made! I subscribe to your YouTube channel and will definitely watch the videos to learn how you made these pretty designs. Beautiful cards; I need to learn how to use the foil again! Fabulous cards. The foil is gorgeous and I love the flowers on the beautiful background. You are such a talent! LOVED these cards when I saw them on IG first!! LOVE that you made a video to match so I'm totally not out of the loop!! 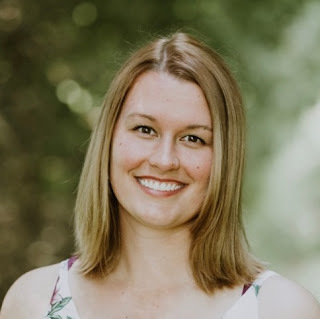 Fabulous new releases! Justine, love the way you have left the flower uncoloured, just the background. Another idea to present an image. I love this die and your cards are beautiful! I love how you used the negative of the foil too! TFS! Lovely cards, I especially like the mandala ones. Beautiful cards - who doesn't love a bit of shimmer. I really like how intricate that mandala die is. The masked flowers are quite effective - great technique. You've made some very stunning cards using the mandala die, they are so intricate and delicate but also in stunning colour. The watercolour was great to watch, great effect on the front. Watercolouring and I have not yet made friends with each other, actually it seems to be a battle ! Gorgeous creations!! The mandala ones are so amazing! Love the card with the Dearest Friend! Such beautiful projects! I love the glitz that you get from the foil on your card. Your cards are beautiful, Justine! I love that foil look...I'm definitely going to try that technique!! What beautiful cards! The foil takes a lovely die to the net level! Thanks for sharing! Gorgeous foiling! Love these cards. I have never tried foiling, I'm afraid that I will fall in love with yet another new thing, lol. Great work! thanks for sharing!! two amazing videos Jennifer. Love the floral circle. Great idea. Love the foil cards. Beautiful work and I'm totally trying your masking when I next have time to create. Thanks for the beautiful inspiration. I live what you have done with the mandala die! Great cards!! Love these beautiful cards! I don't have a laminator but love the foil look so thank you for giving me another option to use it behind the cut out die space. What a delight these were, the foil is so happening this year. The creative ways in which you used the dies and stamps were my favorrite of all who entered. You are a creative treasure. This foiling technique is great, your cards are beautiful! Wonderful cards! They are very pretty! I love the technique and look of that second card. I am beginning to really love watercoloring and am going to have to get some fun. Gorgeous foiling!! Thanks for the great tips and ideas!! Gorgeous designs Justine, both cards are so pretty, love both techniques, thanks for the inspiration! Gorgeous cards! I love seeing the mandala in action - I'm always hesitant about those products until I see them used! Love the circle card. Thanks for sharing your talent! You know, I might actually like the negative foiling better than the positive in this, which I was not expecting! And thank you for the reminder that masking fluid is a thing! I have some, but I keep forgetting to use it, but this is a gorgeous look, and now I want to do it. Thanks so much for sharing! I haven't tried foiling but your gorgeous cards make me want to try it soon! Had to come see what you did with the mandala. Lovely! Gorgeous cards! That mandala is really a beautiful die! Thank you for sharing your creativity! I love the foiled mandala - especially that textured foil. Also the white flowers in that coloured circle - what a great look! ADORE the use of this die, Justine! I am so glad that you enter your beautiful work in Altenew AECP assignment Gallery. Fabulous inspiration. I have to get my foils out ASAP!!!! Yes, I was trying to find where the winner was posted and I could not find it either. 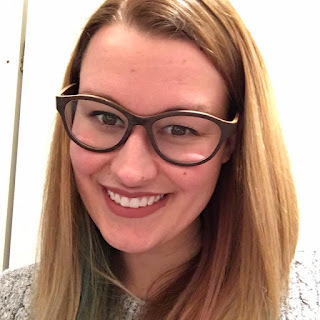 It said that you were going to post on the 30th, but I couldn't find dates on your blog posts, so that made it really hard to navigate around. Giaonhan247 chuyên dịch vụ order ship hàng đức, dịch vụ mua hộ hàng hàn quốc, mua hộ vòng tay pandora chính hãng, giải đáp thắc mắc amazon là gì và dịch vụ mua hàng trên amazon có đảm bảo không uy tín không.